Your choice of theme is one of the first choices you have to make and live with, if you have a WordPress-based website. A theme is what drives the aesthetics of your websites, describing its personality and how it feels and looks. WordPress theme also affects the performance and functionality of your site. Some of these WordPress themes have more post or page templates than others. On the other hand, some have special customizations, while others have very specific ways of formatting the home page. Are you just in the market to decorate or you are looking for your first WordPress theme that can work well for writers? 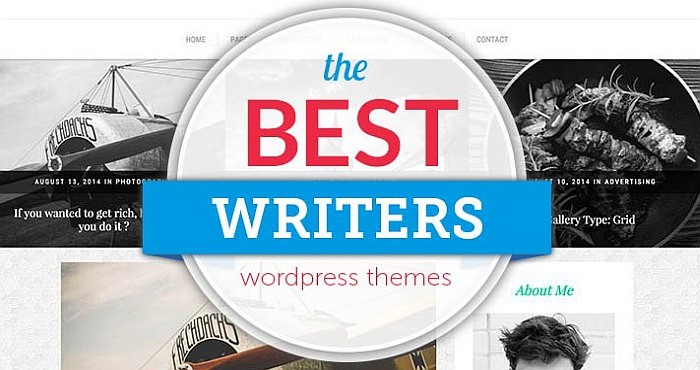 Then, consider the following WordPress theme for writers. Responsive Theme – This theme is suitable for business-like and entrepreneurial authors. However, it is more complex and customizable. Responsive theme provides a homepage template that is perfect for exhibiting products and books, many page layout options and a double menu at the top. Penscratch Theme – This particular theme is ideal for writers because the main focus is on text. Penscratch theme comes with friendly white space and typography. You can add a sidebar to it to make it more effective. Reddle Theme – This theme developed and premeditated by WordPress offers dazzling minimalist theme for bloggers. Reddle has many things in common with Penscratch and can be configured into a very simple static-page site. Editor Theme – This theme is perfect for get-to-the-point, minimalist and focused sites. Editor may be ideal for you if you are too intimidated by more than a few options and too much flexibility. Although it is premeditated for blog-driven sites, it is equally excellent even if you don’t blog. Hemingway Rewritten Theme – Hemingway Rewritten is your choice, if you have beautiful imagery or photographs you want to include in your site. It is great for rewriters as the theme indicates. However, it has opportunity for visual customization. Hence, you can slot in your own personality and view.